Welcome to the Cobblestone Hotel & Suites in Pecos, Texas. 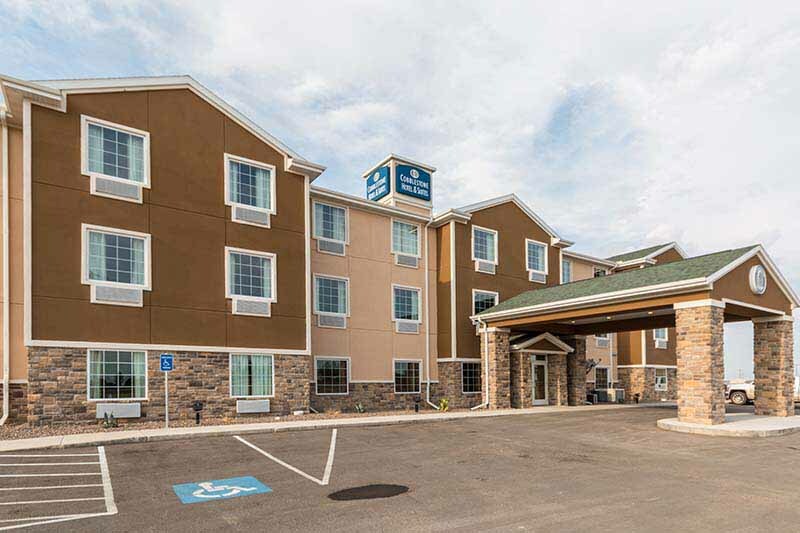 Our beautiful hotel is conveniently located near everything that Pecos, Texas has to offer including Reeves County Hospital District, Pecos Municipal Airport, Greyhound Bus Stop, and more. Our hotel provides easy access for traveling to and from U.S. Highway 285 and Highway 17. Located off of Interstate 20, our hotel is with 200 miles of El Paso, Texas. In town for business? The Cobblestone Hotel & Suites in Pecos, Texas offers easy access to Water Works/AA Chemical & Supply, Badger BMB Services, Grady’s Western Supply Co, Standard Energy Services, and much more! In town for some fun? Check out Red Bluff Reservoir, Big Bend National Park, Guadalupe National Park, The West of the Pecos Rodeo, Buck Jackson Arena, West of the Pecos Museum, Memory Lane Car Museum, Reeves County Municipal Golf Course, Pecos Miniature Golf, Alfredo’s Mexican Restaurant, Cocina Salgado, La Fiesta, Golden Palace, Pody’s BBQ, and more.